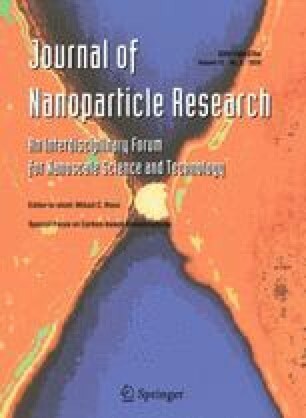 Silicon nanoparticles were generated by femtosecond laser [387 nm, 180 fs, 1 kHz, pulse energy = 3.5 μJ (fluence = 0.8 J/cm2)] ablation of silicon in deionized water. Nanoparticles with diameters from ~5 up to ~200 nm were observed to be formed in the colloidal solution. Their size distribution follows log-normal function with statistical median diameter of ≈20 nm. Longer ablation time leads to a narrowing of the nanoparticle size distribution due to the interaction of the ablating laser beam with the produced nanoparticles. Raman spectroscopy measurements confirm that the nanoparticles exhibit phonon quantum confinement effects and indicate that under the present conditions of ablation they are partially amorphous. N.G.S. acknowledges support by a Marie Curie European Reintegration Grant (ERG), contract number: PERG03-GA-2008-226029, 83573 under the project OMALANP.